TheInsider.com has released a video tour of the new Big Brother 13 house. The video shows that everything you would expect inside is now outside, and vice versa. There’s also a talking fortune teller! Check out the video (below) from TheInsider.com where Big Brother house Julie Chen walks us through the new house. NOTE that this video shows a conflicting Head of Household room. 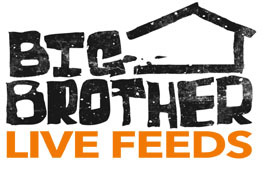 WeLoveBigBrother.com is reporting that this is an old design for the HOH room that has recently changed. Read about this change and see the pictures of the new house right here.